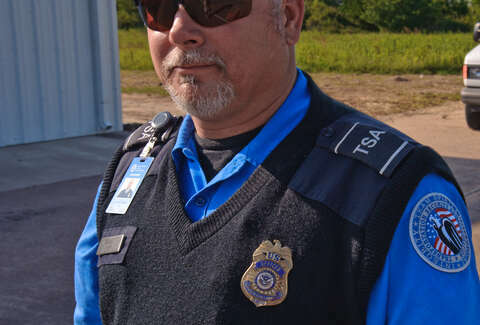 An ongoing investigation by NBC 5 in Dallas-Fort Worth has revealed hundreds of the TSA's SIDA badges have gone missing in the last two years, to the tune of at least 270 at the San Diego International Airport and 1,400 at Atlanta's Hartsfield-Jackson International Airport. It's not just badges either -- police reports obtained by NBC 5 show that airline uniform shirts, a FedEx pilot's uniform, and a federal flight deck officer's credentials and badge turned up lost or stolen as well. And those are just the two airports that responded to the station's inquiry: NBC 5 Investigates reached out to many of the nation's busiest air transit hubs, most of which declined to release information on the subject because of its "security sensitive" nature. Given the bumbling reputation of the TSA, though, it'd be naive to assume this problem is limited to only two US airports. Admittedly, it takes more than a stolen badge and uniform for someone to gain access to off-limits areas of an airport, as entry points to these areas are also secured by biometric scanners and PIN numbers. The TSA also insists SIDA badges are deactivated as soon as they're reported lost or stolen. Still, anyone wandering an airport with false credentials is a pretty big security problem, even if they're just the limo driver.